Mr. Stephen Rumbley is the President of SkyBridge Tactical, LLC. 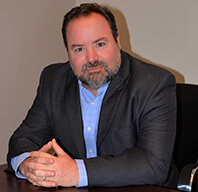 Mr. Rumbley started as a consultant with SkyBridge Tactical before becoming a Managing Partner in 2013. He retired from USSOCOM as a Special Forces Major after having 20+ years in Special Operations as an Officer and Enlisted Soldier. 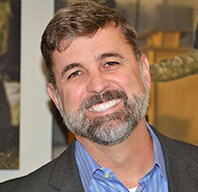 Mr. Rumbley’s last assignment at SOCOM was as an Acquisition Professional where he managed the weapons portfolio for both the theater and national Special Operation Forces. Mr. Rumbley has vast experience overseas with multiple combat rotations throughout the Middle East and extensive humanitarian work in Africa and Central and South America; working directly with Host Nation Partners and Non-Governmental Organizations. Mr. Rumbley’s military assignments include 5th Special Forces Group (SFG); 3rd SFG, 7th SFG, 1st Ranger Battalion and several Long Range Surveillance Detachments. He holds an MBA and MS in International Relations along with BS in Biology from University of Tampa. Mr. Randall Bahlow is the Managing Partner/Co-Founder of SkyBridge Tactical, LLC. Mr. Bahlow also is the President and Founder of SkyBridge Resources – commercial recruiting/staffing organization. He has worked in the Defense and Commercial Industry for the past 25 years. Prior to SkyBridge, Mr. Bahlow had over 10 years working experience at Aerotek managing the Eastern United States with annual revenues in excess $750M. Mr. Bahlow has vast experience in executive on-boarding and IT staffing and holds a BS in Political Science from Florida State University (FSU). Mr. Carlos M. Perez is the Director of Programs for SkyBridge Tactical, LLC. Mr. Perez retired from the U.S. Army as a Special Forces Lieutenant Colonel in January 2012, and became a Department of the Air Force Civilian (DAFC) GS-15 for USSOCOM’s Interagency Task Force (IATF). Mr. Perez has over 25 years of Special Operations and combat arms experience leading interagency, international, DoD, Joint / Combined cross-functional teams in dynamic and uncertain environments solving complex problems. He is an expert in counterterrorist (CT) and counterinsurgency (COIN) operations in Latin America and the Middle East. Mr. Perez’ other military assignments include CFSOCC-Afghanistan, CJSOTF-Afghanistan, 7th Special Forces Group (Airborne), 160th Special Operations Aviation Regiment (Airborne), Joint Task Force – 4, and Joint Task Force – B. He holds an MS in Irregular Warfare from the Naval Postgraduate School, Monterey, California and a BS in Electrical Engineering from the University of Miami, Coral Gables, Florida. Bob Guenther has 39 years of diverse military, business and executive leadership experience including successfully leading small, medium and large U.S. based company business units in every aspect of operations, training, business administration, finance, corporate restructuring, workforce development and business development. 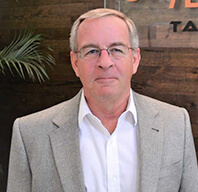 Following his career in US Army Combat Arms, Joint Forces and Intelligence staff and leadership positions, he began working with one of the nation’s most specialized software and intelligence contractors supporting the Department of Defense and Intelligence Agencies. Through several mergers, acquisitions and restructuring, he led business development and business units, ultimately in one of the largest Defense contractors in the world. 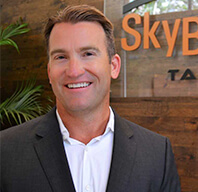 Joining SkyBridge in 2013, he has been at the forefront of maturing our small business and driving compliant growth into the agile, focused and responsive organization we are now. As Director of Operations, he applies his experience and acumen to everything we do, charting the path to continued growth and exemplary service to our employees, our company and the nation. Grant Vaughan, from Plant City, Florida, was commissioned a Lieutenant of Ordnance from Florida Southern College, in 1994. After graduating the Ordnance Officer Basic Course, Grant served as a Maintenance Platoon Leader and Company XO in Bravo Company, 2nd Forward Support Battalion, 2nd Infantry Division, Camp Hovey, Republic of Korea. During his next assignment with the 7th Special Forces Group (Airborne), Fort Bragg, North Carolina from June 1996 to January 1999, he served as 1/7th Battalion’s Service Detachment CDR, XO for Headquarters Support Company and Battalion S4. Following graduation from the Infantry Officer’s Advanced Course in June 1999, Grant returned to 7th Special Forces Group (Airborne) to serve as the Group Support Service Detachment Commander and the Group Support Company XO. In early 2001, he commanded Charlie Company, Support Battalion, 1st Special Warfare Training Group (Airborne). After command, he served in 3rd Special Forces Group (Airborne) and the Combined Joint Special Operations Task Force-Afghanistan (Airborne) in various positions until 2003 in support of Operation Enduring Freedom I, II and III. From 2004 to 2006, Grant served in the 1st COSCOM (Airborne) as an Operations Officer and JOC Chief in support of Operation Iraqi Freedom III. In January 2006, he returned to the 7th Special Forces Group (Airborne) to serve as the Group S4, Group Support Battalion Commander (Interim) and Group Support Battalion’s Executive Officer with deployments as the J4 and Battalion Executive Officer. In 2009, he was selected to attend the Marine Corps Command and Staff College, Quantico Marine Corps Base, Virginia. From 2010-2013, he served as a Joint Operations Officer for Special Operations Command (SOCOM), MacDill Air Force Base, Tampa, Florida. In 2013, Grant had the honor of Commanding the 125th Brigade Support Battalion, 3rd Infantry Brigade Combat Team, 1st Armored Division at Fort Bliss, Texas. After Battalion Command, he was selected to join the Special Operations Joint Task Force-Afghanistan to serve as the Deputy CJ4. For Grant’s final assignment he was selected as Special Operations Command – Central (SOCCENT) Director of Logistics, Contracting and Engineering. Grant is a graduate of the Ordnance Officer Basic Course, the Infantry Officer Advance Course and the Marine Corps Command and Staff College. He holds a Bachelor of Science in Psychology from Florida Southern College and a Masters of Military Science from the Marine Corps University at Quantico, Virginia. His awards and decorations include the Bronze Star w/Oak Leaf Cluster, the Defense Meritorious Service with One Oak Leaf Cluster, the Meritorious Service Medal with Silver Oak Leaf Cluster, the Joint Service Commendation Medal, the Joint Service Achievement Medal, the Afghanistan Campaign Medal with 4 Stars, the Iraq Campaign Medal with 2 Stars, the NATO Medal and the Korean Defense Service Medal. He is a Master Parachutist, Air Assault qualified and wears the Combat Action Badge.